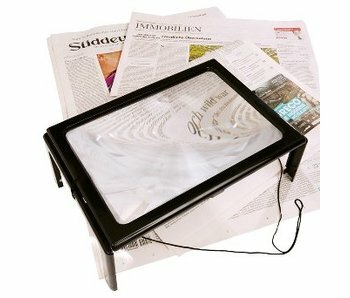 Magnifying glass on a stand with weighted base. 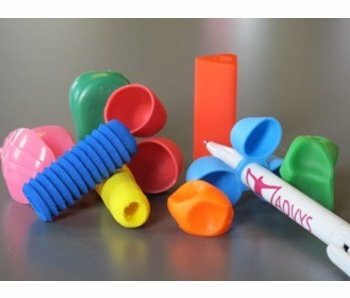 This makes hands free and can magnifying glass at different angles and are placed at different distances. 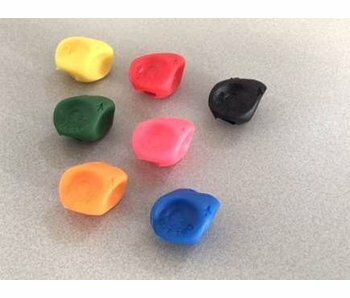 Classic three sided pear-shaped bulges of extremely rough anti-slip surface, so that the pin can not slip. 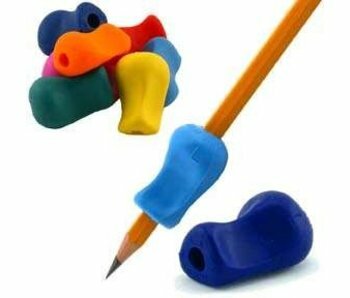 The unique shape of The Pencil Grip in a larger size for additional support. 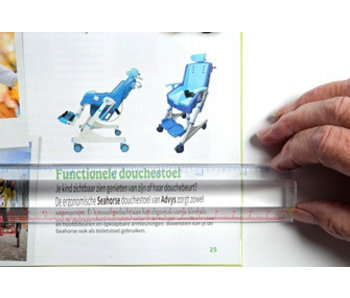 Plastic magnifying glass with two soft feet from the body rests. 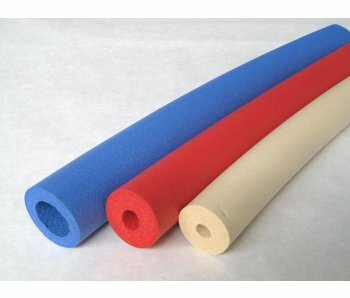 This makes hands free: useful in manual work or hold a magazine or book. 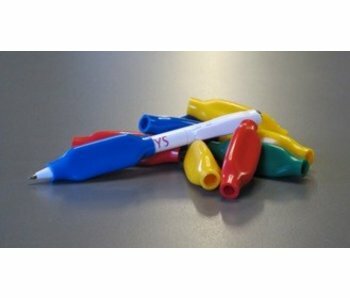 Useful set of nine different writing aids and pen bulges. 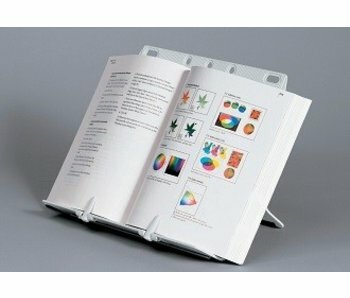 Simple plastic bookstand, foldable with clip. The slope can be set at 9 positions. Read Ruler increase in one direction only. Letters are thus longer, while the width is not changed. 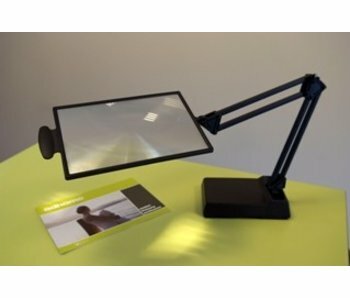 Loupe on 2 feet, with LED lights. 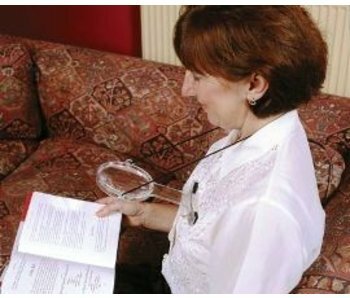 With the included neck strap also usable as an embroidery or reading magnifier. 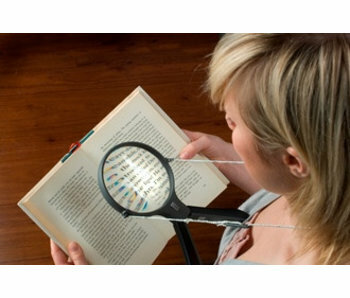 Plastic magnifying glass that rests against the body with 2 soft feet. 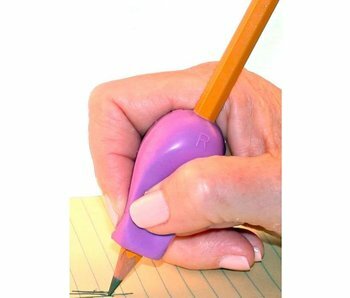 This makes the hands free: useful for manual work or holding a magazine or book.